6.1 Bed Bugs in Electronics? 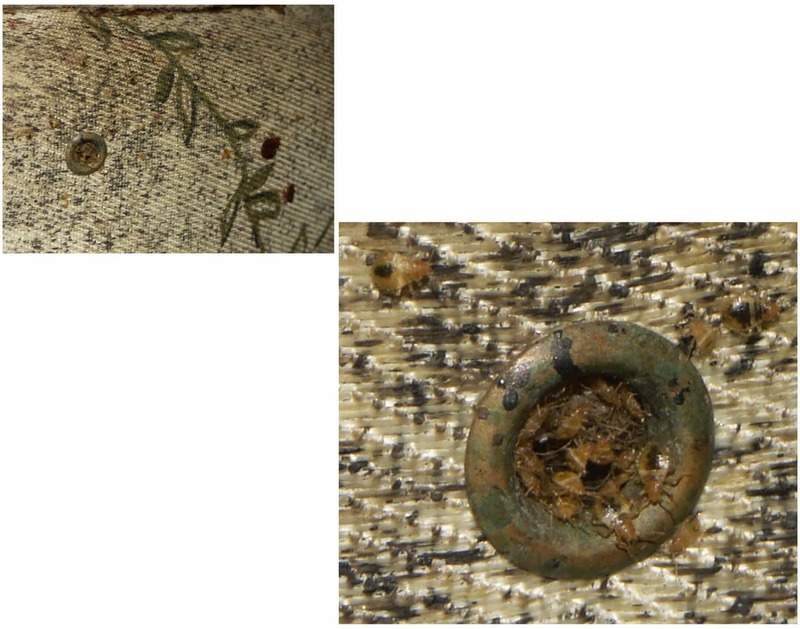 6.2 Will Bed Bugs Infest Leather Furniture? 6.3 I Can’t Find Them Anywhere! If you’ve arrived at this page, you like dealing with some invisible pest that’s been biting you. How do you know if you have bed bugs? The best way to zero-in on them is through a properly conducted diagnosis. If you’re interested in preventing bed bugs, the page on the very subject is full of information; the Integrated Pest Management page is also brimming with information crucial to bed bug prevention and should be considered required reading. The Pictures page is a valuable resource as well that will help you see exactly where and what to look for when on the hunt for bed bugs and their signs. 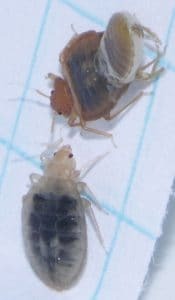 When looking for bed bugs, your relative sensitivity to their bites really determines whether or not you will be able to pick up on that most obvious of symptoms earlier or later on. Namely, bed bug monitors and traps have the potential to save you thousands by helping to detect bed bugs early. They’re very affordable – I’d even consider them cheap compared to the potential savings and longevity! I recommend bed post interceptors to anyone living in apartments or other multi-unit building because they’re effortless and highly effective. All there is to it is placing dishes with pit traps in the on your bedposts. Bed bugs, if they ever do come about, will have to crawl into the pitfalls on their way to you as you sleep. They won’t get further than the traps if you’ve got them. Here’s a bite from the bed bug traps page that you can use to easily compare passive bed bug monitors. 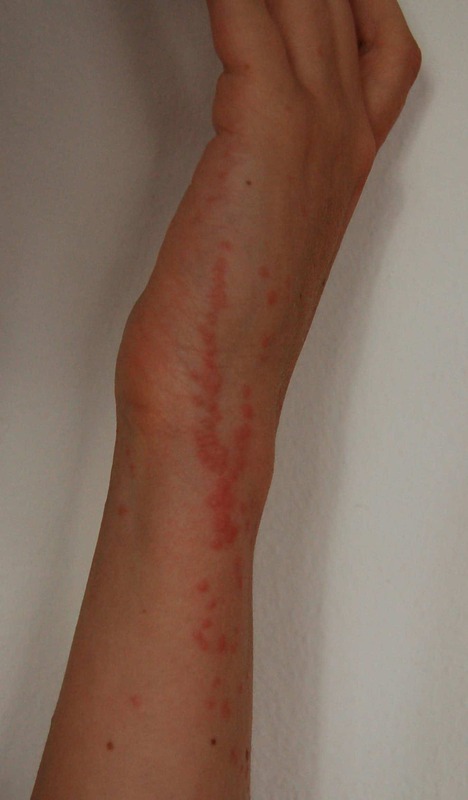 You can look for such raised welts anywhere that skin is exposed during sleep. Your neck, back, arms, hands, feet, and legs are where bed bugs will normally bite. 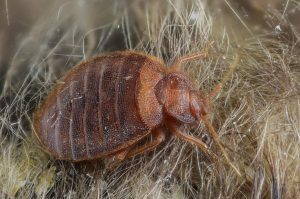 If you find that there does not seem to be any connection between bites that you’ve found and sleep, it is unlikely that bed bugs in your home are the actual perpetrators. They might get in your home soon should that be the case. Spots of blood found on bedding are good indicators and can signify where a bug has been crushed shortly after or during feeding. As discussed in the information section, the musky sweet “buggy” smell that some sources recommend looking out for typically only manifests in severe cases of infestation. The “Where to Find Bed Bugs at Home” section will go into more detail about where to look for these symptoms. The most definitive form of evidence is, of course, an actual bed bug! You are much more likely to find a dead bed bug than a living specimen. Bed bugs look very different during their various stages of development. Having an idea of what each looks like is highly recommended. You can learn more about these nymph stages and see picture examples here. If any of these circumstances is relevant to you and symptoms are starting to show, it is best to be on high alert and take action! You can read specifically about where bed bugs come from and preventing them at the Bed Bug Prevention page. Here’s a quick checklist of bed bug symptoms! 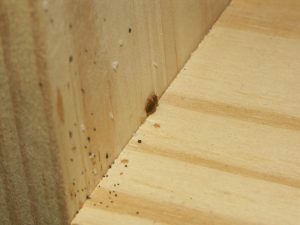 Bed bugs themselves at all stages – catch one for identification! To better help you in your search for bed bug signs, I’ve developed the following printable. Carry it with you as you scour your home for stains and eggs so you don’t have to touch or carry your phone! Interested in full-resolution or black and white versions of this printable? Check out the comprehensive Debedbug ebook. It comes with four more crucial printables, and a bunch of condensed information. Check it out for free – its the fast track guide to going from victim to hero! Even if only one bug is present, a bite has to occur. Eggs can’t be produced, and physiological development is impossible without a blood meal. In spite of this, they will continue to wait in hiding during the day and are capable of matching a host’s sleeping pattern should that be more advantageous. Newly fertilized females eventually begin to move away from your bed to locations with less competition and further from danger before safely laying their eggs. For a detailed checklist that will help you select a pest control operator, check out the link here. As always, there’s a printable and guide for any issue you’re facing in the ebook. Keep in mind that bed bugs are attracted to wherever hosts take extended periods of rest. If prone to taking naps on a couch or recliner, know that you’ll likely find them there if you’ve found them in your bedroom. This also means that sleeping on the couch or recliner once you’ve found them on your bed only serves to spread the pest, rather than isolate them to your bed. Outside of checking the bed and areas immediately surrounding it, loose wallpaper, wherever carpet meets wall, corners of hardwood desks, dressers, closets, and drawers are all potential safe harboring places for bed bugs. They do tend towards soft places, although crowded furniture and beds are less appealing than less crowded but equally safe narrows, cracks, corners, and dark spaces nearby. Bed bugs are willing to commute from curtains, drapes, inside walls, outlets, appliances, and underneath carpets; basically, they can be anywhere at all. It is important to understand that bed bugs do not burrow or penetrate materials in order to make their homes. They prefer to nest in tight and dark spaces and have no problem inhabiting wood, metal, or plastic as well as cloth. I’m often asked whether or not electronics are safe from infestations. Unfortunately, bed bugs are happy to live in electronics that provide dark and cozy nooks to hide in. If conditions are right and populations need more space, you might find molts, eggs, and all the other consequences of harborage in your speakers, television, desktop computer, or inside any other electronic. This is why buying used electronics is not without its danger. At the same time, electronics aren’t high-value real estate for bed bugs due to their difficulty to travel over. They prefer things they can easily climb, like bed sheets and curtains. Will Bed Bugs Infest Leather Furniture? Because bed bugs do not physically burrow or penetrate into their homes, they can absolutely live in leather furniture. Leather upholstery is similar to electronics in that it isn’t the bug’s first choice, but is certainly not off the table either. Leather-covered couches and sofas tend to be smooth and difficult to climb, but are typically filled with cloth upholstery just beneath the surface. 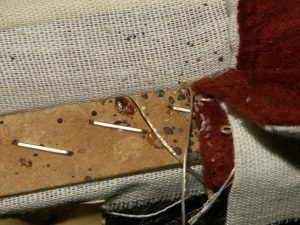 Bed bugs are perfectly at home after squeezing between seams into the cozy and soft inner-upholstery. You could also expect to see bed bugs colonizing beneath cushions on leather couches – the same is true of vinyl furniture. 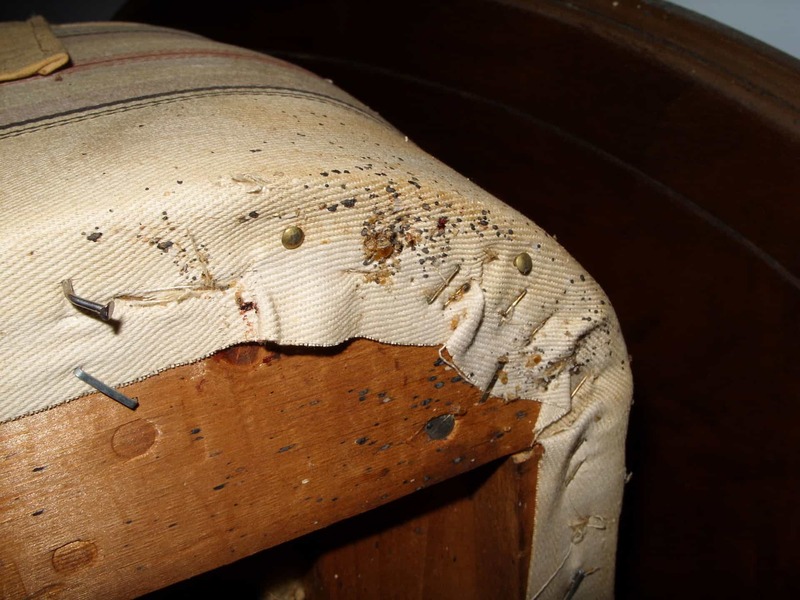 If you’ve found bed bugs in your furniture, don’t throw it away just yet! You can get them out in a number of ways – fumigation by the truckload, large bed bug heaters, steam treatment, and vacuuming will all help you manage or eliminate bed bugs in furniture. There are heaters of every size these days. They have the potential to save you thousands in replacement furniture, bed components, and anything else that’s too sensitive to be thrown in a dryer or doused with chemicals..
Getting the right steamers is tricky – this is a very specific job; not all steamers are designed for it. If you find that you’ve got no choice but to toss furniture, be sure to dispose of it properly by both marking it and a packing it into a furniture storage or disposal bag! You wouldn’t want a neighbor picking your infested furniture off the street and back into the building. I Can’t Find Them Anywhere! If nothing is found in any of the mentioned spots, it is completely possible that you either do not have bed bugs at all, or that you may have caught on to them early on. You should be pleased with either case! I would personally take preventative action immediately. Investing in very affordable prevention tools could save you thousands in treatment costs down the line. Avoiding the problem completely would be ideal. Bed bug detecting dogs are another popular green solution to bed bug detection. You should expect to be given proof of the infestation prior to any additional treatment or services taking place. I recommend taking a crack at it yourself when it comes to early detection, but going the professional route should you fail to find traces but still suspect bed bugs. Spending a lot of money on inspections every time a bug bite shows up wouldn’t be easy on the bank! If you do find traces in the above areas, it’s time to start looking for a live specimen. Keep in mind that bed bugs are not bound to the bed. They are more than willing to migrate small distances when competition gets thick. In such cases, you should expand your efforts in search of symptoms to the entire bedroom at the very least. You should always capture a specimen or secure several other forms of evidence for the purpose of identification before committing any kind of treatment. Many online communities host identification forums for this exact purpose. Professionals will likewise appreciate not having to search for proof once you already have it. This could save you an inspection, as well as time consequently. There are services that also accept mailed-in samples – at a price. Luckily, there are several proven and highly effective daily-monitoring devices and traps to help you catch bed bugs passively or actively. Bed bugs are crafty and more than happy to wait until you to fall asleep to feed. Their attraction to the warmth exuded by the human body, as well as the carbon dioxide we exhale, are factors that can be used to our advantage with the right methods and products. Their elusiveness means that setting traps and searching for telltale signs tends to yield the best results than staring at the bed and chasing ghosts. Once you’ve verified that you’re dealing with bed bugs, it is important to act quickly. Time is the greatest advantage and disadvantage you have against an infestation. If you find your infestation is in its earlier stages, you should consider yourself lucky. In this case, you’d be best off educating yourself on the modern methods of controlling and exterminating bed bugs. Namely, creating an Integrated Pest Management (IPM) plan is the route to go. With an IPM you effectively take chance out of the equation and attack bed bugs on every possible front. It’ll get you huge results and only requires a little diligence and knowledge. Debedbug also produces a great IPM planner and tracker that will help you with the whole ordeal. For some people, the sometimes exorbitant prices of Pest Control Operators (PCOs)/exterminators is simply too much. While the task of exterminating your own bed bugs is seen as a tough job, it’s absolutely possible with the right tools and know-how. You’ll save thousands this way and also have the privilege of knowing exactly what chemicals you are or aren’t using. Taking bed bugs on yourself allows you to hold off on certain costs and invest more in other solutions. Don’t want to use chemical sprays? Save the money and use it on a steamer and traps. Think that a comfortable bed encasement is more important than fancy traps? Choose cheaper traps and nicer encasements. It’s all in your hands. I’ll be here to help, though. The page covers everything from green and home remedies to more proven commercially available methods of control that you can start using immediately. We also feature a page on choosing an exterminator, which is useful for those going that route. Every so often an unexplained itch, the sensation of something crawling on your leg that is never found, or irritations presumably caused by some sort of bug crop up. 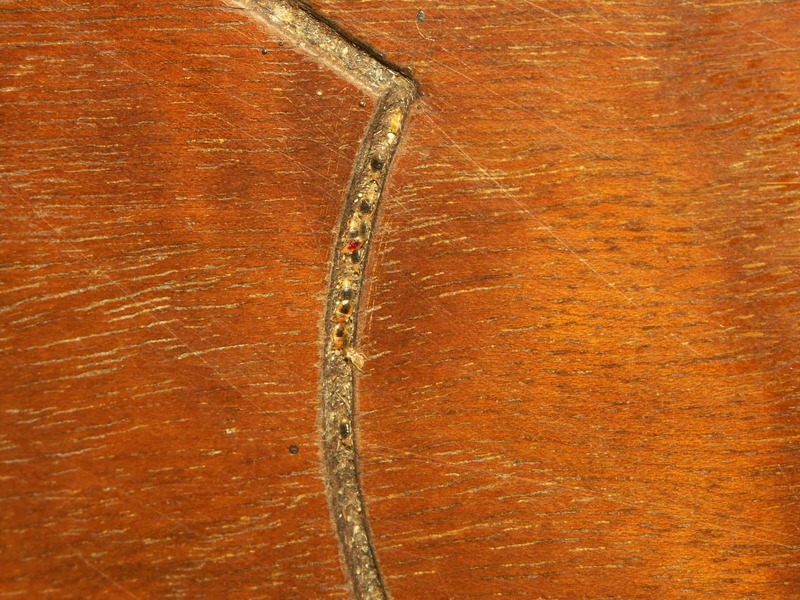 These anomalies are a normal part of human life and are often falsely attributed to bed bugs. Concentrated media attention as well as a general public fear and paranoia have pinned bed bugs to our collective conscience. Some easy facts to keep in mind are that bed bugs do not jump, nor can they fly. Common perpetrators of bed bug fraud are mosquito bites, fleas, ticks, and a host of other biting or irritation-causing bugs. 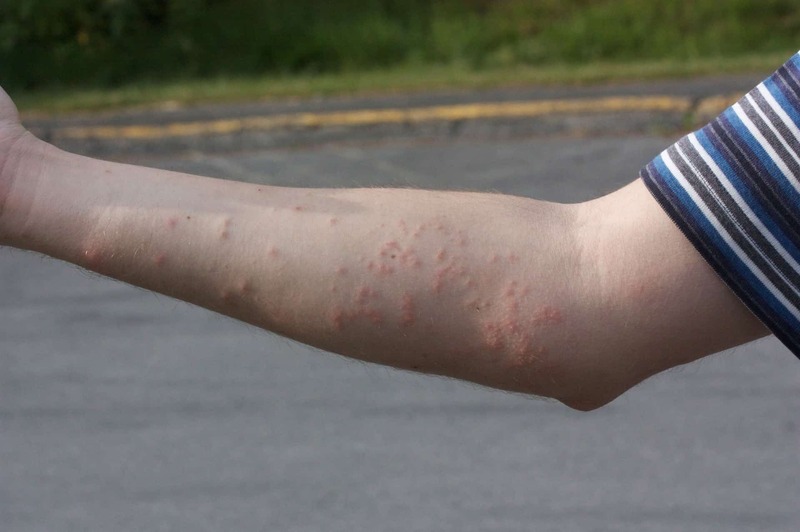 Mosquitos and their bites are similar in many ways; you are unlikely to catch the bug in the act and later suffer symptoms comparable like itchy raised welts or an unexplained rash. 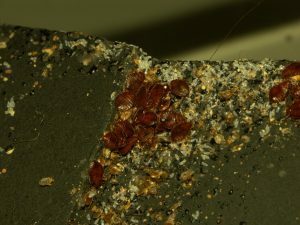 For pictures of bed bugs, you can visit the bed bug photo gallery. Due to how easy it is to misdiagnose bed bugs, it is doubly important to secure solid proof before concluding that the problem you are facing is bed bugs. Blindly jumping into treatment by pesticides or other means is often ineffective for treating the actual cause. It is also costly and potentially harmful to health when done without proper research and careful application. These are chemicals and powders are meant to kill, after all. Outside the possibility of bugs similar to bed bugs giving you grief, external factors irrelevant to insects may also be the cause. Environmental conditions, allergies, as well as generic skin irritation can yield symptoms easily mistaken for bed bug signs. Household products that irritate and cause itching such as detergents, soaps, cosmetics, cleaning agents, beauty products, medications, and certain clothing fabrics are just a few potential causes of irritation present in every home that might be mistaken for a bed bug-caused rash or itch. 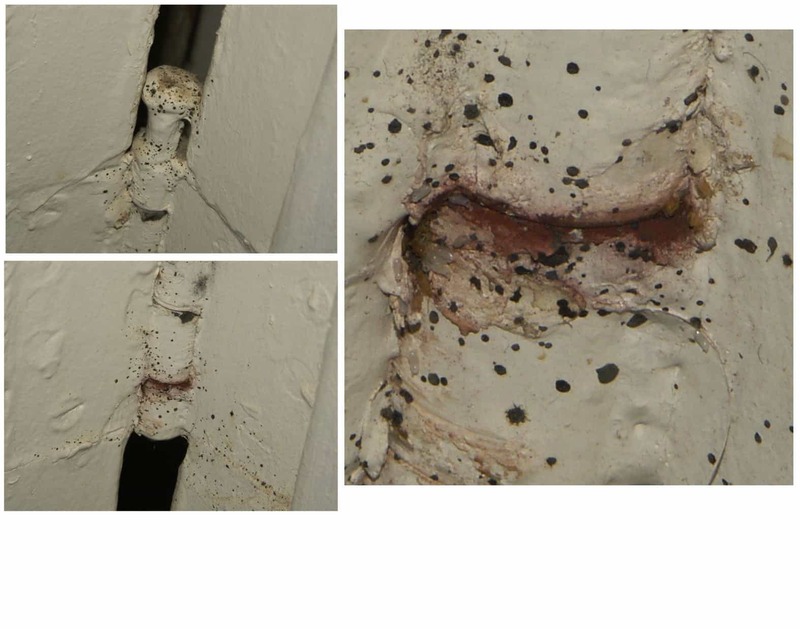 The many components that make up a home can likewise cause itching, or the impression of insects crawling on the skin. Stray fibers from insulation, rugs, upholstered furniture, certain fabrics, and even dry air from excessive air conditioning can put you on the hunt for imaginary bed bugs. People undergoing stress and victims of insect phobias are even more suspect to ghost irritations misattributed to bed bugs. Understanding the common symptoms related to bed bugs is the most important step you can take in preventing and stopping them. Being able to identify a potential infestation early is the best way to protect yourself from the problem ever advancing to anything more than a moderately traumatic nuisance. 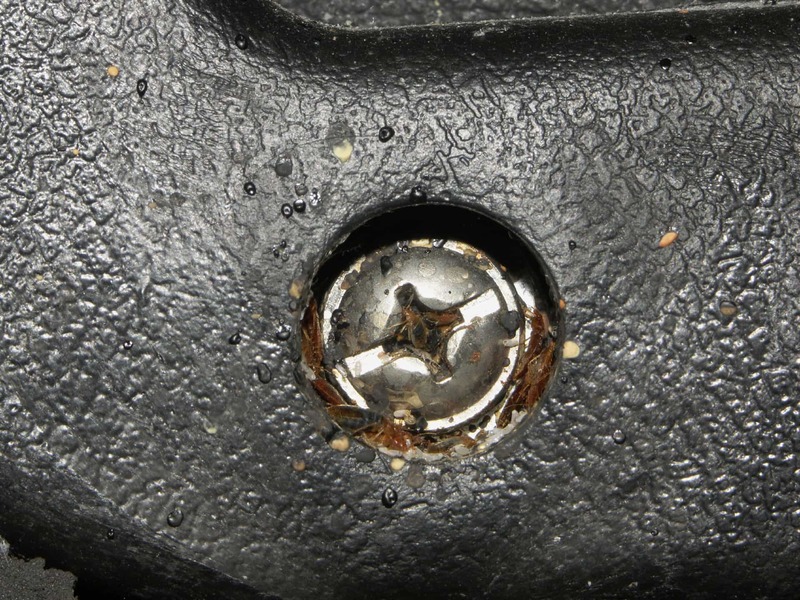 While I do hope that this section has helped you conclude that your pest is not bed bugs, as many people do, if you have joined the unfortunate club of verified bed bug victims, I’m right there with you. 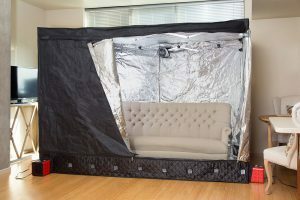 You can read on about how to treat bed bugs personally and cheaply or through professional options or the help of a professional at Bed Bug Treatment. For information on preventing bed bugs, steps to take immediately following a suspected diagnosis, and what not to do after finding bed bugs, the bed bug prevention guide will show you the way. Good hunting and best of luck getting Debedbugged!